Total Body Pilates & Yoga LLC is a Boutique, Small Group Training Studio. Our Studio offers Personalized & Group training in Pilates, Yoga and Strength/Conditioning aimed to build strength, flexibility & build body awareness while exercising. Our mission is to keep you motivated to reach your fitness goals by offering you the highest quality fitness that combines innovation with intelligence. Whether you’re looking to get leaner, become more flexible, move with less pain or just in search of a peaceful practice, we are confident there’s something here for you. *All Private & Small Group Training sessions are scheduled by appointment.All sessions are scheduled by appointment. To try out of a studio class visit totalbodypilatesyoga.com or contact us at 860.231.YOGA (9642). Owner & Founder, Nicole M. Haffey has a MS in Neuroscience with 14+ years experience as a Certified Pilates Teacher with certifications in Pilates mat, reformer, & barre. As a former D3 Collegiate Athlete, Nicole understands the mindset of training as a competitive athlete as well as the potential for injuries. After experiencing years of chronic lower back and ankle injuries throughout her athletic career, Nicole found pain relief from the core strengthening, gymnastic-based movements of Pilates. With her recent certification as a USA Weightlifting L1 Sports Performance Coach, Nicole is passionate about sharing her knowledge in relating two opposite styles of exercise; the slow, controlled movements of Pilates with the efficient, full body conditioning movements in Olympic lifts & Sports Performance. 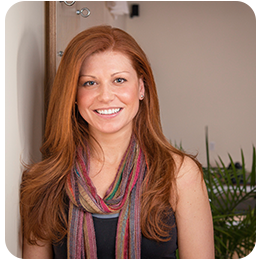 Her integrated knowledge of diverse fitness modalities lends to her unique & creative approach towards wellness. Nicole’s well-rounded background has led to training experience with clients at various fitness levels ranging from intercollegiate athletes, training for sports performance to 60+yr olds looking to move healthier. Nicole has found success in designing specialized training programs for athletes including runners, crossfitters & golfers where athletes work to strengthen specific areas of chronic weakness & build overall flexibility. Additionally, Nicole specializes in programming for Working class professionals where long hours traveling abroad & sitting in desks all day wreak havoc on postural muscles and the body as a whole. A large portion of her success has been in developing personalized training programs for clients that utilize a combination of Pilates mat & apparatus work, Strength & Conditioning exercises and mobility exercises using both bands & myofascial release (MFR) techniques. Nicole’s adaptive training model provides clients with an endless variety of workouts contingent on where each client is at both physically & mentally during each session. She believes this steady training progression is the secret to her client’s reaching their goals while preventing injuries. Nicole M. Haffey has a MS in Neuroscience & 15+ years experience as a PMA® Certified Pilates Teacher with certifications in STOTT Pilates®, Balanced Body®, PHI Pilates, USA Weightlifting L1 Sports Conditioning and TRX Suspension Trainer Qualified.